Figure 2.7 Components of the radiation (in watts per square metre) which on average enter and leave the Earth's atmosphere and make up the radiation budget for the atmosphere. About half of the incoming solar radiation is absorbed by the Earth's surface. This energy is transferred to the atmosphere by warming the air in contact with the surface (thermals), by evapotranspiration and by longwave radiation that is absorbed by clouds and greenhouse gases. The atmosphere in turn radiates longwave energy back to Earth as well as out to space. The numbers in Figure 2.7 demonstrate the required balance: 235 watts per square metre on average coming in and 235 watts per square metre on average going out. The temperature of the surface and hence of the atmosphere above adjusts itself to ensure that this balance is maintained. It is interesting to note that the greenhouse effect can only operate if there are colder temperatures in the higher atmosphere. Without the structure of decreasing temperature with height, therefore, there would be no greenhouse effect on the Earth. Similar greenhouse effects also occur on our nearest planetary neighbours, Mars and Venus. Mars is smaller than the Earth and possesses, by Earth's standards, a very thin atmosphere. A barometer on the surface of Mars would record an atmospheric pressure less than 1% of that on the Earth. Its atmosphere, which consists almost entirely of carbon dioxide, contributes a small but significant greenhouse effect. The planet Venus, which can often be seen fairly close to the Sun in the morning or evening sky, has a very different atmosphere to Mars. 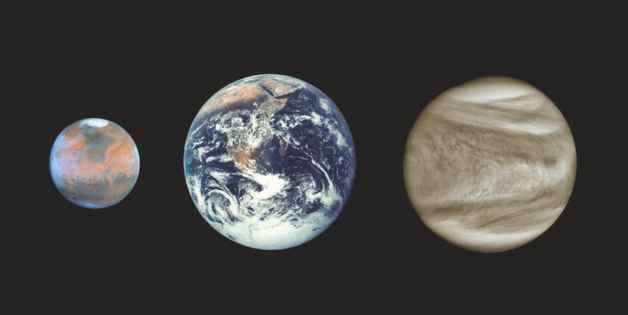 Venus is about the same size as the Earth. A barometer for use on Venus would need to survive very hostile conditions and would need to be able to measure a pressure about 100 times as great as that on the Earth. Within the Venus atmosphere, which consists very largely of carbon dioxide, deep clouds consisting of droplets of almost pure sulphuric acid completely cover the planet and prevent most of the sunlight from reaching the surface. Some Russian space probes that have landed there have recorded what would be dusk-like conditions on the Earth -only 1% or 2% of the sunlight present above the clouds penetrates that far. One might suppose, because of the small amount of solar energy available to keep the surface warm, that it would be rather cool; on the contrary, measurements from the same Russian space probes find a temperature there of about 525 °C - a dull red heat, in fact. The reason for this very high temperature is the greenhouse effect. Because of the very thick absorbing atmosphere of carbon dioxide, little of the thermal radiation from the surface can get out. The atmosphere acts as such an effective radiation blanket that, although there is not much solar energy to warm the surface, the greenhouse effect amounts to nearly 500 °C. The planets Mars, Earth and Venus have significant atmospheres. This diagram shows the approximate relative sizes of the terrestrial planets. What occurs on Venus is an example of what has been called the 'runaway' greenhouse effect. It can be explained by imagining the early history of the Venus atmosphere, which was formed by the release of gases from the interior of the planet. To start with it would contain a lot of water vapour, a powerful greenhouse gas (Figure 2.8). The greenhouse effect of the water vapour would cause the temperature at the surface to rise. The increased temperature would lead to more evaporation of water from the surface, giving more atmospheric water vapour, a larger greenhouse effect and therefore a further increased surface temperature. The process would continue until either the atmosphere became saturated with water vapour or all the available water had evaporated. 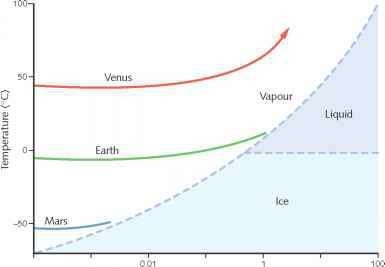 Figure 2.8 The evolution of the atmospheres of the Earth, Mars and Venus. In this diagram, the surface temperatures of the three planets are plotted against the vapour pressure of water in their atmospheres as they evolved. Also on the diagram (dashed) are the phase lines for water, dividing the diagram into regions where vapour, liquid water or ice are in equilibrium. For Mars and the Earth the greenhouse effect is halted when water vapour is in equilibrium with ice or liquid water. For Venus no such halting occurs and the diagram illustrates the 'runaway' greenhouse effect. an equilibrium between the surface and an atmosphere saturated with water vapour. There is no possibility of such runaway greenhouse conditions occurring on the Earth. After our excursion to Mars and Venus, let us return to Earth! The natural greenhouse effect is due to the gases water vapour and carbon dioxide present in the atmosphere in their natural abundances as now on Earth. The amount of water vapour in our atmosphere depends mostly on the temperature of the surface of the oceans; most of it originates through evaporation from the ocean surface and is not influenced directly by human activity. Carbon dioxide is different. Its amount has changed substantially - by nearly 40% so far - since the Industrial Revolution, due to human industry and also because of the removal of forests (see Chapter 3). Future projections are that, in the absence of controlling factors, the rate of increase in atmospheric carbon dioxide will accelerate and that its atmospheric concentration will double from its pre-industrial value within the next 100 years (Figure 6.2). Figure 2.9 The enhanced greenhouse gas effect. Under natural conditions (a) the net solar radiation coming in (S = 240 watts per square metre) is balanced by thermal radiation (L) leaving the top of the atmosphere; average surface temperature (7S) is 15°C. If the carbon dioxide concentration is suddenly doubled (b), L is decreased by 4 watts per square metre. Balance is restored if nothing else changes (c) apart from the temperature of the surface and lower atmosphere, which rises by 1.2 °C. If feedbacks are also taken into account (d), the average temperature of the surface rises by about 3 °C. to the numbers in the radiation budget presented earlier (Figure 2.7). 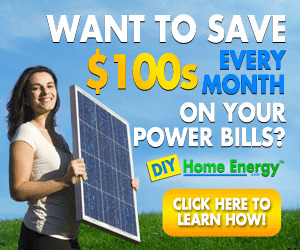 The solar radiation budget would not be affected. The greater amount of carbon dioxide in the atmosphere means that the thermal radiation emitted from it will originate on average from a higher and colder level than before (Figure 2.4). The thermal radiation budget will therefore be reduced, the amount of reduction being about 4 watts per square metre (a more precise value is 3.7). face and lower atmosphere will warm up. If nothing changes apart from the temperature - in other words, the clouds, the water vapour, the ice and snow cover and so on are all the same as before - the temperature change turns out to be about 1.2 °C. In reality, of course, many of these other factors will change, some of them in ways that add to the warming (these are called positive feedbacks), others in ways that might reduce the warming (negative feedbacks). The situation is therefore much more complicated than this simple calculation. These complications will be considered in more detail in Chapter 5. Suffice it to say here that the best estimate at the present time of the increased average temperature of the Earth's surface if carbon dioxide levels were to be doubled is about twice that of the simple calculation: 3.0 °C. As the last chapter explained, for the global average temperature this is a large change. It is this global warming expected to result from the enhanced greenhouse effect that is the cause of current concern. Having dealt with a doubling of the amount of carbon dioxide, it is interesting to ask what would happen if all the carbon dioxide were removed from the atmosphere. It is sometimes supposed that the outgoing radiation would be changed by 4 watts per square metre in the other direction and that the Earth would then cool by one or two degrees Celsius. In fact, that would happen if the carbon dioxide amount were to be halved. If it were to be removed altogether, the change in outgoing radiation would be around 25 watts per square metre - six times as big - and the temperature change would be similarly increased. The reason for this is that with the amount of carbon dioxide currently present in the atmosphere there is maximum carbon dioxide absorption over much of the region of the spectrum where it absorbs (Figure 2.5), so that a big change in gas concentration leads to a relatively small change in the amount of radiation it absorbs.8 This is like the situation in a pool of water: when it is clear, a small amount of mud will make it appear muddy, but when it is muddy, adding more mud only makes a small difference. An obvious question to ask is: has evidence of the enhanced greenhouse effect been seen in the recent climatic record? Chapter 4 will look at the record of temperature on the Earth during the last century or so, during which the Earth has warmed on average by about three-quarters of a degree Celsius. We shall see in Chapters 4 and 5 that there are good reasons for attributing most of this warming to the enhanced greenhouse effect, although because of the size of natural climate variability the exact amount of that attribution remains subject to some uncertainty. • No one doubts the reality of the natural greenhouse effect, which keeps us over 20 °C warmer than we would otherwise be. The science of it is well understood; it is similar science that applies to the enhanced greenhouse effect. • Substantial greenhouse effects occur on our nearest planetary neighbours, Mars and Venus. Given the conditions that exist on those planets, the sizes of their greenhouse effects can be calculated, and good agreement has been found with those measurements that are available. • Study of climates of the past gives some clues about the greenhouse effect, as Chapter 4 will show. First, however, the greenhouse gases themselves must be considered. How does carbon dioxide get into the atmosphere, and what other gases affect global warming? 1 Carry out the calculation suggested in Note 4 (refer also to Note 2) to obtain an equilibrium average temperature for an Earth partially covered with clouds such that 30% of the incoming solar radiation is reflected. If clouds are assumed to cover half the Earth and if the reflectivity of the clouds increases by 1% what change will this make in the resulting equilibrium average temperature? 2 It is sometimes argued that the greenhouse effect of carbon dioxide is negligible because its absorption band in the infrared is so close to saturation that there is very little additional absorption of radiation emitted from the surface. What are the fallacies in this argument? 4 Using information from books or articles on climatology or meteorology describe why the presence of water vapour in the atmosphere is of such importance in determining the atmosphere's circulation. 5 Estimates of regional warming due to increased greenhouse gases are generally larger over land areas than over ocean areas. What might be the reasons for this? 6 (For students with a background in physics) What is meant by Local Thermodynamic Equilibrium (LTE),10 a basic assumption underlying calculations of radiative transfer in the lower atmosphere appropriate to discussions of the greenhouse effect? Under what conditions does LTE apply? Historical overview of climate change science. Chapter 1, in Solomon, S., Qin, D., Manning, M., Chen, Z., Marquis, M., Averyt, K. B., Tignor, M., Miller, H. L. (eds.) 2007. Climate Change 2007: The Physical Science Basis. Contribution of Working Group I to the Fourth Assessment Report of the Intergovernmental Panel on Climate Change. Cambridge: Cambridge University Press. Houghton J. 2002. The Physics of Atmospheres, third edition. Cambridge: Cambridge University Press, Chapters 1 and 14. 1 It is about one-quarter because the area of the Earth's surface is four times the area of the disc which is the projection of the Earth facing the Sun; see Figure 2.1. 3 These calculations using a simple model of an atmosphere containing nitrogen and oxygen only have been carried out to illustrate the effect of the other gases, especially water vapour and carbon dioxide. It is not, of course, a model that can exist in reality. All the water vapour could not be removed from the atmosphere above a water or ice surface. Further, with an average surface temperature of -6 °C, in a real situation the surface would have much more ice cover. The additional ice would reflect more solar energy out to space leading to a further lowering of the surface temperature. 4 The calculation I made giving a temperature of -6 °C for the average temperature of the Earth's surface if greenhouse gases are not present not only ignored the different reflectivity of ice compared with the present surface but also ignored the presence of clouds. Depending on the assumptions made regarding clouds and other factors, values ranging between 20 and 30 °C are quoted for the difference in surface temperature with and without greenhouse gases present. 5 Further details can be found in Mudge, F. B. 1997. The development of greenhouse theory of global climate change from Victorian times. Weather, 52, 13-16. 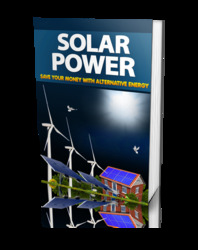 6 A range of 2 to 4.5 °C is quoted in Chapter 6, page 143. 7 More detail of the radiative effects of clouds is given in Chapter 5; see Figures 5.14 and 5.15. 8 The dependence of the absorption on the concentration of gas is approximately logarithmic. 9 For some helpful diagrams and more information about the infrared spectrum of different greenhouse gases, see Harries, J. E. 1996. The greenhouse Earth: a view from space. Quarterly Journal of the Royal Meteorological Society, 122, 799-818. Houghton, J. T. 2002. The Physics of Atmospheres, third edition. Cambridge: Cambridge University Press. What would happen to the earth's surface is carbon dioxide levels were suddenly lowered? What would happend to surface temperature if all the CO2 is removed?